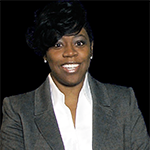 This week the spotlight is on Kesha Williams, Ph.D., M.S.W., L.S.W., L.C.D.C.III, C.A.-C.Y.F.S.W., A.S.C.W. Dr. Williams is the Director of Field Education for the UI&U major in Social Work. Learn why she is proud to be in the social work profession in the Q&A below. A. Higher education allows me to impact the future in a meaningful way. That is exciting. I am also excited to be part of the Social Work profession and I believe in its Code of Ethics. Social Workers help leverage the playing field for the disadvantaged and marginalized; people who can’t advocate for themselves. My responsibility at Union is to ensure each student attains a field placement that offers real life experiences to implement what the student has learned in the classroom. I have to be sure the student is going to receive a worthy and meaningful experience. I rely on my communication skills to build a list of collaborative agencies so that I have a healthy pool to choose from regardless of where the student lives. A. I too am a nontraditional student and Union’s mission to reach that segment of the population really touches me. I joined Union years ago in 2005 – 2006 when it was known as a college without walls. That message resonated with me. I also grew up in the neighborhood where the Cincinnati headquarters is located. A. If I could have any job in the world I would be president of an organization that develops programming to educate, advocate, and serve marginalized populations. A. People are surprised at my wealth of professional knowledge. I have extensive work experience in various areas of social work. I have worked in substance abuse, been director of a health collaborative, worked at another university, and served as Director of GED Services for Hamilton County Juvenile Court. These areas have brought me extensive leadership experience. A. I have two favorite books. The first is “The Life You Were Born to Live.” It gives insight into personality and traits that help develop your career and life path. The second book is the Bible. Today is the day to follow your passion to help people and your community with a UI&U major in Social Work. Click below.